Born in Kut, Iraq in 1958, Dr. Alwash spent much of his younger years in Nassariya on the fringes of Iraq’s southern Mesopotamian marshlands. His father, Jawad Alwash, in his role as district irrigation manager was one of the first irrigation engineers to gain access to the marshes and regularly brought his young son along on trips into the marshlands to resolve water disputes. When Dr. Alwash left Iraq in 1978 to escape the Baathist regime, he took along with him impassioned memories of times with his father among the resilient marsh Arabs – memories that would eventually inspire a life of environmental activism aimed at restoring, protecting and preserving the delicate balances within Iraq’s ecosystem. After completing his BS in Civil Engineering at the California State University at Fullerton, and his Ph.D. in Geotechnical Engineering at the University of Southern California, Dr. Alwash subsequently worked for twenty years as a soil and environmental engineering consultant in southern California. In 1997, he became active in Iraqi expatriate politics and joined the Board of Directors of the Iraq Foundation, an Iraqi NGO based in Washington, DC. Prompted by the release of a United Nation’s Environmental Program’s report in 2001 that detailed “one of the world’s greatest environmental disaster’s” – the desiccation of 90 percent of the Mesopotamian Marshlands at the hands of Saddam Hussein’s regime (See Nature Iraq’s “History”) - Dr. Alwash and his wife, Dr. Suzie Alwash, founded the Eden Again Project and began to assemble a group of international experts to evaluate the potential for restoration of the marshes. Their scientific opinion was unanimous - the marshlands could and should be restored. 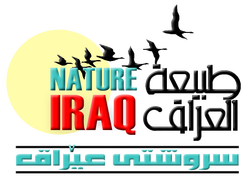 By August 2003, Dr. Alwash took a leave of absence from his consultancy work to direct the Eden Again Project operations in Iraq – the seed for today’s Nature Iraq. 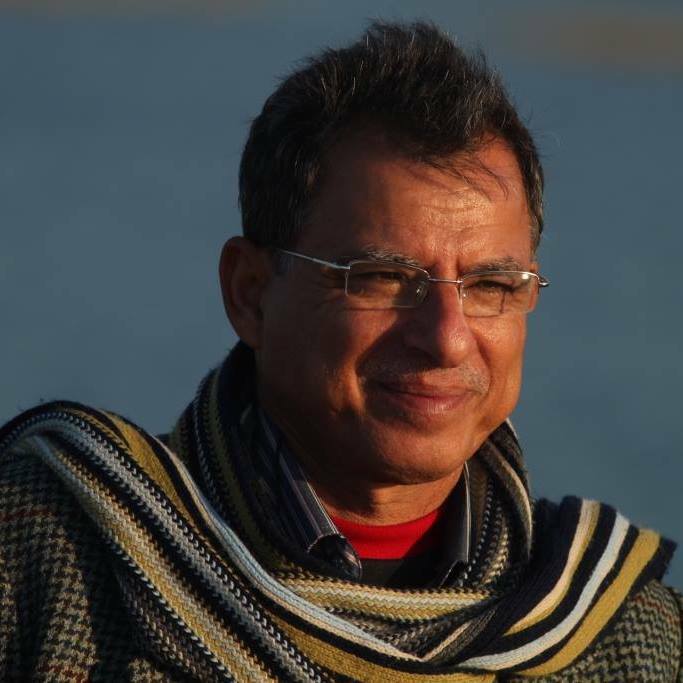 More recently, Dr, Alwash joined the board of trustees of the newly established American University of Iraq – Sulaimani, where he founded the Twin Rivers Institute for Scientific Research, which will soon oversee the academic and capacity building activities currently lead by Nature Iraq. Dr. Alwash can be found dividing his time between Sulaimani, Baghdad, and Iraq’s southern marshlands; or speaking internationally about the need to address the many environmental issues facing Iraq, and the successes and work yet ahead for Nature Iraq. He has worked to save the Hammar Marshes and Central Marshes during the drought between 2008-2010 through proposing suitable solutions and undertaking activities with the locals and stakeholders. Throughout the last twelve years, He participated in a number of international meetings and conferences about the Iraqi wetlands held in Switzerland, Italy, Jordan,Turkey, Singapore and Egypt additional to the different national meetings and conferences for water and marsh issues. He also participated in preparing studies and surveys about the green villages and the Strategic Plan for the Wetlands, the architectural sites in South of Iraq. He has an interest in writing poetry and playing chess. His next step is establishing the Water Keeper project in Southern Iraq. ​Hana Ahmed Raza, is a biologist working in the conservation of Iraq's wildlife with the main focus on the autonomous region of northern Iraq, Kurdistan for the last 6 years. She was the team leader of the Kurdistan section of the Key Biodiversity Areas Inventory for Iraq from 2011-2013 and one of the authors, who conducted the data analysis and wrote the assessments, edited, and translated in this Inventory “Key Biodiversity Areas of Iraq- Priority Sites for Conservation & Protection”. She is a member of the IUCN Cat Specialist Group since 2013. She has been involved in different educational outreach and field survey projects with Nature Iraq through camera trapping surveys, coordinating international convention meetings and workshops inside Iraq, coordinating the first and second trainings on field techniques in mammal surveys and wildlife medicine trainings for Iraqi Veterinarians throughout Iraq. Active member and coordinator of the Conservation Leadership Programme (CLP) for Conserving the Wild Goats Capra aegagrus at Peramagroon and Qara Dagh Mountains, Sulaimani-Iraq 2011-2012. In addition, she has held different talks, presentations and documentary films on environmental education and public awareness. She is currently program coordinator and a Lobbyer for Protected Areas’ establishment in the Kurdistan Region in addition to her continued surveys on mammals of Kurdistan. Looking for the Old Website?